The Global Volcanism Program has no activity reports for Rishirizan. The Global Volcanism Program has no Weekly Reports available for Rishirizan. The Global Volcanism Program has no Bulletin Reports available for Rishirizan. Rishirizan is a highly dissected andesitic stratovolcano that forms a 20-km-wide island west of the northern tip of Hokkaido. Extensive erosion has produced an extremely rugged topography, with a dramatic sharp-topped, summit flanked by steep-sided radial ridges. A stratovolcano and flank lava domes were constructed beginning less than 200,000 years ago. After about 37,000 years ago only flank vents were active. Late-stage eruptions took place from scoria cones and maars along a 15-km-long NW-SE trend that extends to the SE coast. Flank eruptions were dominantly basaltic, but also included andesitic and rhyolitic activity. Extensive lava flows during the late Pleistocene form much of the northern and western coasts and extend offshore. The latest eruptions took place a few thousand years ago. Ishizuka Y, 1999. Eruptive history of Rishiri volcano, northern Hokkaido, Japan. Bull Volc Soc Japan (Kazan), 44: 23-40 (in Japanese with English abs). Kuritani T, Yoshida T, Nagahashi Y, 2010. Internal differentiation of Kutsugata lava flow from Rishiri Volcano, Japan: Processes and timescales of segregation structures' formation. J. Volcanol. Geotherm. Res., 195: 57-68. Machida H, 1976. Stratigraphy and chronology of late Quaternary marker-tephras in Japan. Tokyo Metropolitan Univ Geog Rpt, 11: 109-132. There is no Deformation History data available for Rishirizan. There is no Emissions History data available for Rishirizan. 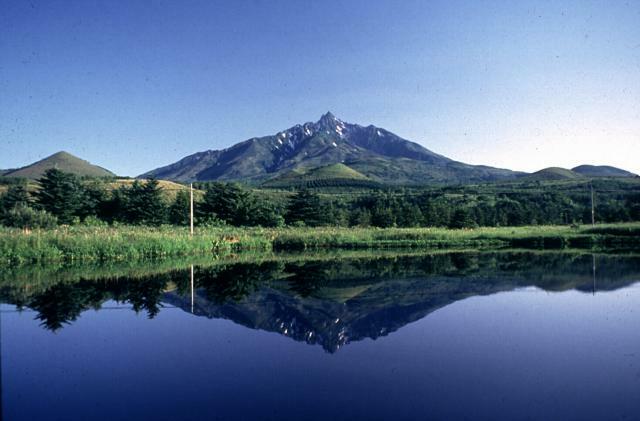 Rishiri is a highly dissected andesitic stratovolcano that forms an island west of the northern tip of Hokkaido. The main edifice ceased erupting during the Pleistocene, and extensive erosion has created a rugged dissected summit flanked by radial knife-edged ridges. Scoria cones and maars on the lower flanks have been active during the late Pleistocene and early Holocene. Photo by Yoshihiro Ishizuka, 1997 (Hokkaido University). Rishiri volcano is a highly dissected stratovolcano that forms an island off the NW tip of Hokkaido. The composite cone (center) and flank scoria cones (middle ground) are mirrored on the surface of a maar on the lower south flank. 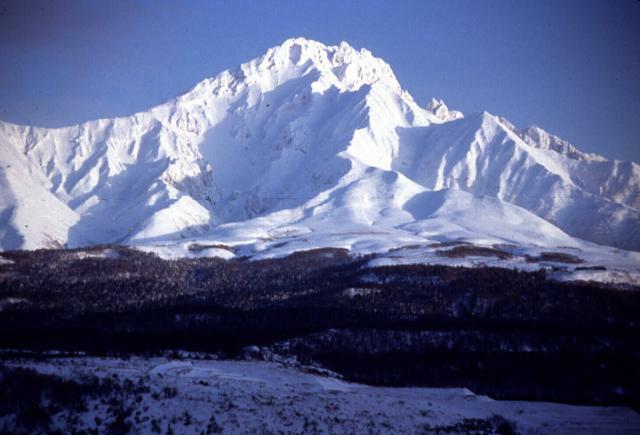 The stratovolcano was constructed during the Pleistocene. Scoria cones and maars on the lower flanks erupted 30,000-8,000 years ago. Photo by Yoshihiro Ishizuka, 1993 (Hokkaido University). Large Eruptions of Rishirizan Information about large Quaternary eruptions (VEI >= 4) is cataloged in the Large Magnitude Explosive Volcanic Eruptions (LaMEVE) database of the Volcano Global Risk Identification and Analysis Project (VOGRIPA).